Not 100% convinced about the awesomeness of the 270 Win caliber (sorry Ryan), I hatched a plan to turn it into a light-weight bush piglet. 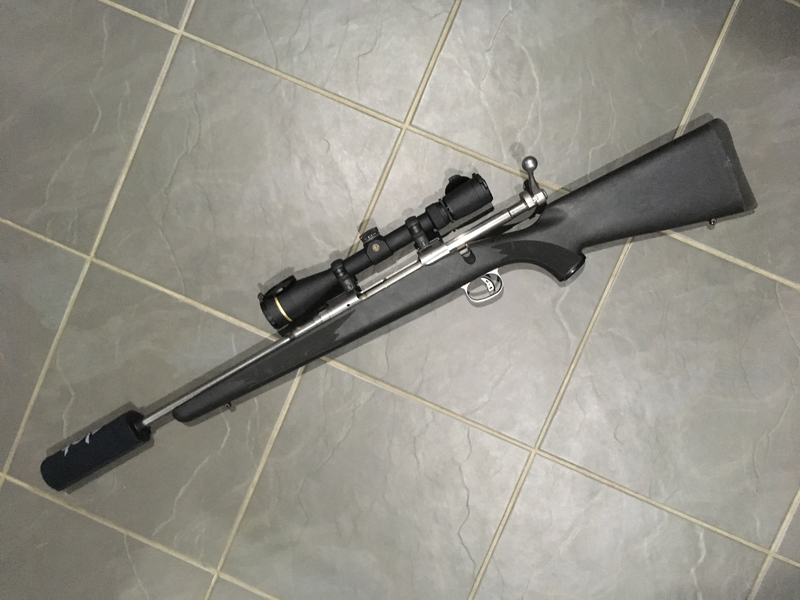 My 7mm-08 SA Savage that is the rifle I take to gong shoots lives in a pillar bedded Boyds stock and has a Shillen barrel (another TM bargain I picked up for $ 75, haha). So the plan was to take the original factory 7-08 barrel, screw that into long action, and run it in the blind mag plastic stock. Leupy VX3 3.5-10 CDS and DPT can would complete the project. All good so far. 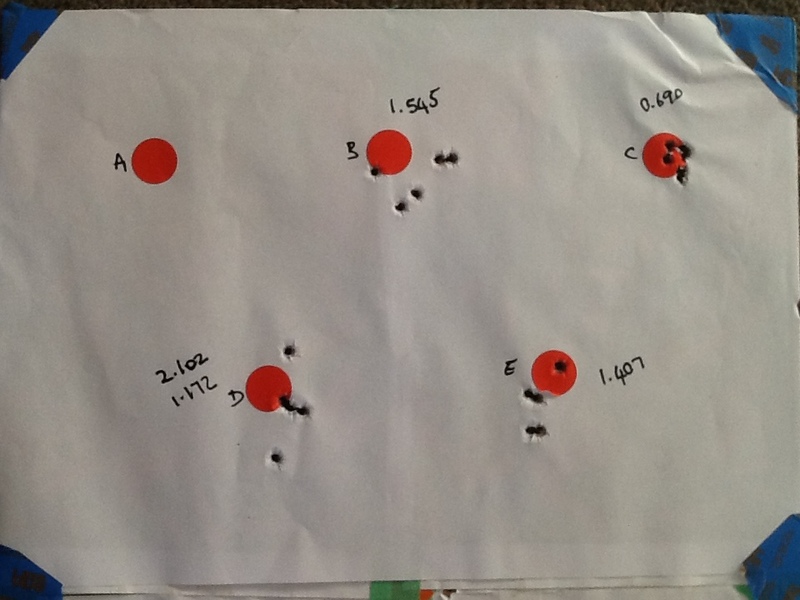 No surprises, the rifle did not shoot all that well, and I spent most of the day missing plates. Obviously the barrel did not like my attempts at weight-loss, or it REALLY did not like 162 gr AMAXes. Fast forward a couple of days, after some more research, I decided to make a brass lap, and give the crown a bit of a touch-up. Still no joy, basically shooting 3 MOA groups. The final attempt was to feed it something much lighter. Ordered 120gr Pro-Hunters, and loaded a ladder with those. Success !!! Shot some tests with these today, 5-shot groups off a daypack, so mimics what the rifle will be used for. Low shot in D was the monkey behind the rifle, so ignoring that one, it was 1.2 moa 4-shot group. Got to be happy with an avderage of 1.5 off a daypack, especially considering what I was seeing before. 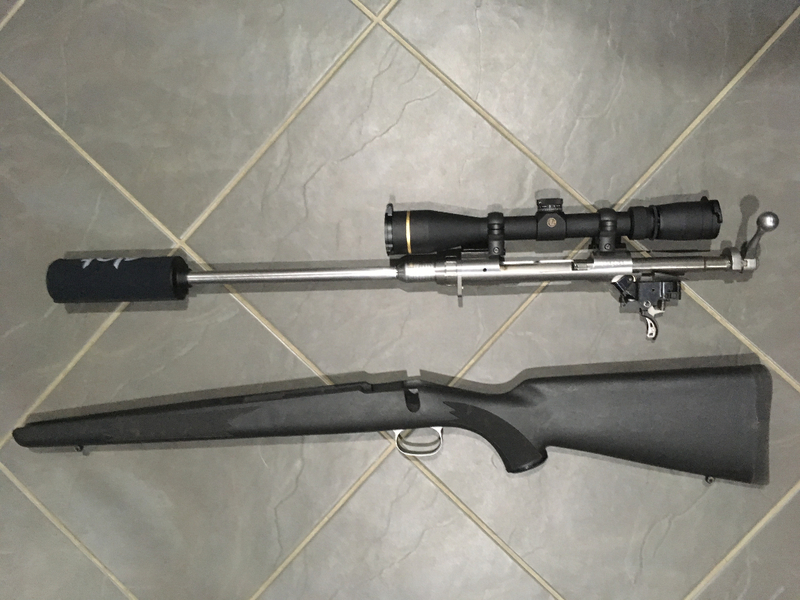 It weighs 3.2kg scoped and suppressed, so much nicer to carry than the 4.7 kg gong rifle. Gillie, Micky Duck and mawzer308 like this. veitnamcam and Woody like this. C looks pretty knackered Gibo albeit it needs a click of left. Last edited by ebf; 05-07-2018 at 06:38 PM. My Savage 7-08 wouldn't group the 162s either. Berger 140s get very good results now, and from memory the Nosler 120s and 140s also performed well. Like you’re honesty though, a lot of guys wouldn’t own up to that. Where's the pic of the rifle? bigreddog and FatLabrador like this. Wow that's a pencil profile barrel right there, more than enough accuracy for hunting too.